To ensure all league tables are updated promptly – would everyone please text me your results a.s.a.p. for the up-and-coming midweek games scheduled to start on Tuesday, 9th April. Thanks a lot for your co-operation and the best of luck to everyone. are looking for a friendly (Away) this coming Saturday, 30 March 2019. Anyone interested, please contact William at 087 1336454. Lord Mayor of Cork, Cllr Mick Finn, is calling you! On your marks, get set, REGISTER! 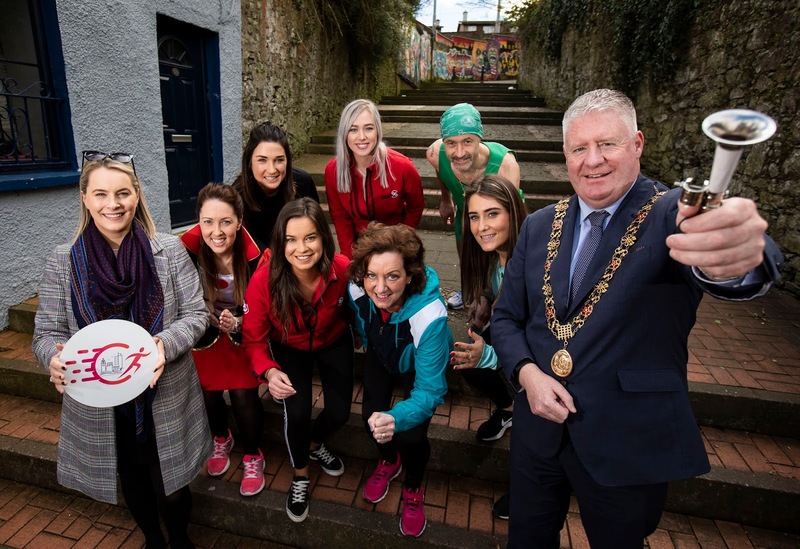 Both pro and budding runners, walkers and everyone in between were today encouraged to register their entry for the 2019 Irish Examiner Cork City Marathon, as the annual event was officially launched. Race organisers are encouraging individuals of all fitness levels and running ability to step-up to this fun sporting challenge and take their position on the starting line of the Full, Half, Relay or Youth Challenge on Sunday 2nd of the June. This year’s launch was attended by 2019 Irish Examiner Cork City Marathon Ambassador & Irish Ultra Athlete of the Year 2019 Aidan Hogan, along with avid marathon runner Angela Murphy, winner of the Marian Horgan Memorial Trophy at last year’s event. Lord Mayor of Cork, Cllr Mick Finn, was also on hand to celebrate this special event, which will see thousands descend on Cork City this June bank holiday weekend. With entries over the past two years exceeding previous record numbers, thanks in large part to the change from a Monday race to a Sunday Runday, this year’s entry figures are expected to reach new heights and sights are set on beating the target of 10,000 registrations. While the change in day has played a significant role, such substantial interest is also undoubtedly due to the variety of options available to the novice and experienced marathon participant. Those daunted by the prospect of stepping up to the challenge of the Full Marathon can choose the Half Marathon or share the journey with a group of family, friends or colleagues by registering for the Team Relay. Proving that the beloved Cork event is #MoreThanAMarathon, young adults across Cork and beyond will also be invited to take part in the event through the Youth Challenge. This initiative, which is aimed at youths over the age of 16 and supported by Cork City Council, the Cork Education and Training Board (CETB), Cork Sports Partnership and the HSE, is not a race or competition, but rather an opportunity for the youngsters involved to embrace health and fitness in a fun, engaging way. Although Race Day is a huge draw for participants from all over Cork, it also encourages interest from across the globe, with over 320 international athletes from countries such as the USA, Spain, France and the UK represented in the Marathon in 2018. The influx of visitors to the city not only adds to the excitement of the well-loved Leeside event, but it also has a direct impact on the local economy, with businesses based in the city and suburbs benefitting greatly from the hordes of supporters on hand to mark the race. “Marathon Sunday is one of my favourite days of the year as I see the city come alive, both during the race itself and also in the restaurants and bars afterwards, as participants celebrate their fantastic achievement. It will be a fantastic day in the city, and a great way for participants to take in the iconic Cork sights and sounds as they take to the streets. We’re calling on everyone, from first timers to professional athletes, to lace up your trainers and look forward to seeing you at the start and finish line!”, urged the Lord Mayor of Cork, Cllr. Mick Finn. Now in its 13th year, the Irish Examiner Cork City Marathon is an internationally recognised marathon welcoming participants from home and abroad, with certification from the International Association of Athletics Federations (IAAF). This marathon is a qualifying race for other marathons, such as the Boston City Marathon. The Irish Examiner Cork City Marathon is a City Council-promoted event in partnership with Athletics Ireland, Cork Business Houses Athletics Association (BHAA), An Garda Síochána, Cork Education & Training Board, Voluntary First Aid & Medical bodies such as St John Ambulance, Irish Red Cross, Order of Malta, Cork Fire Services and Civil Defence as well as local groups and communities. Carrigtwohill United B v Innishvilla B, 2 p.m.
Mid-week games will commence on Tuesday, 9 April 2019 and Thursday, 11 April 2019. There will also be some games scheduled for Wednesdays from time to time. The following AUL games are OFF today. 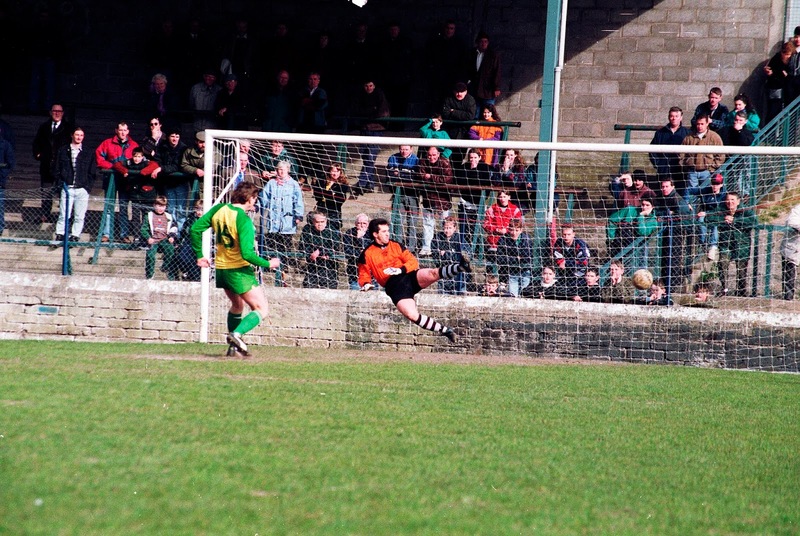 Bohemians v Glenthorn Celtic A.
are looking for a friendly away from home next Saturday, 16 March 2019. Anyone interested, please contact William @ 087 1336454. The members, friends and all involved at Central Rovers F.C. wish to extend their deepest sympathy to Noel O’Connor and family on the recent passing of his father, Noel. Lakewood Athletic B v Ballinhassig (2pm). Please see below two links to a National D Licence and a National C Licence to be held in Cork in 2019. Also, please see attached a poster to which I would be delighted if you were able to share this email and poster to all mailing lists and on your social media platforms. are looking for second-hand full size goal posts for a temporary pitch, willing to collect. Contact Eileen 087 7372524. Clubs are reminded that the transfer deadline is Thursday, 31 January 2019. After this date no more transfers will be possible for the rest of the season. Transfer forms and transfer applications on FAINet are to be with the registrar no later than this date. Clubs are reminded that players can still be signed/registered up to and on the 31 March 2019 as long as they have signed for no other club in the current season. The AUL 1 game scheduled for the CIT Grounds in Bishopstown, between City Wanderers and Glen Celtic this Friday, 18 January 2019 is OFF. AOH Cup 3rd Round tie between Knocknaheeney Celtic A and Temple United will take place at the Mayfield Community School, this Friday, 18 January 2019 at 7.30 p.m.
To all club secretaries and managers, please ensure all players are transferred/registered correctly on the FAINet system before playing. All match cards are inspected and it’s the responsibility of the club to make sure all players are registered. If you have transferred a player from another club or league since the re-opening of the transfer window, it is your responsibility to ensure that the player is free to play and is not under suspension. this includes players that have incurred fines for Yellow and Red cards and whose fines have not been paid. You should make contact with the club that the player has last played for to confirm the players eligibility to play. Please be advised that all match cards will be inspected going forward and if a player has played that is not eligible then disciplinary action will be taken against the player and the club that he has played for. Any club that has outstanding fines should ensure that they are paid immediately. On behalf of everyone in the Cork AUL, I would like to wish our sponsors, the Evening Echo sports desk, clubs, players, referees and everyone else involved in the game, a very happy Christmas and a Happy and Holy New Year. It’s that time again where we reserve some space on the Evening Echo for the Unsung Heroes, Past Players\Managers OR Committee members etc that would have given distinguished service to both football and their clubs over the years. As there is a 2 x week break from fixtures over the Christmas period, we will have the opportunity in the Evening Echo to portray anyone in your Clubs (AUL) that you feel comes under the above criteria. We all know that football is full of people who consistently give selflessly of their time and energy over the years to the sport they love but, in some cases, they never get the proper recognition. By the same token, there are also some terrific past players who have never got the recognition that they deserved so, this is an opportunity to highlight such people for their contributions. For further information, please feel free to get in touch with me through e-mail (barrypeelo28@gmail.com or mobile – 087-7936608 about anyone you feel fits the above criteria. THIS WOULD BE A NICE TOUCH FOR CHRISTMAS FOR ANYONE YOU FEEL IS DESERVING OF SUCH RECOGNITION. IMPORTANT: Please get in touch with me as soon as possible as time is of the essence to meet deadlines. The transfer window reopens on December 1st 2018 until 31st January 2019. Clubs are reminded they must send a paper transfer form to the league register signed by both clubs as well as inputting the transfer on the FAInet system. A player won’t receive an eligibility date until the form is with the registrar. Hand delivered forms are not accepted they must be posted. Clubs are reminded that if they are transferring a player from another league the transfer form must be signed/stamped by the registrar of the league they are leaving before they will be accepted in the Cork AUL.